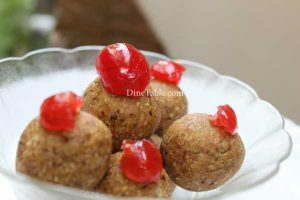 Dates & Oats Ladoo is a power packed healthy treat made with dates, oats, nuts & a little bit of ghee. 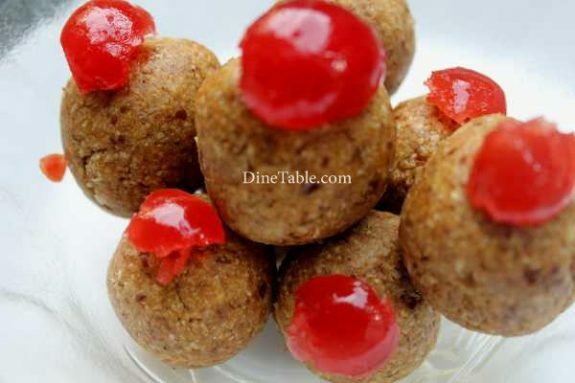 This oats and dates ladoo is super simple and can be made in less than 20 minutes. 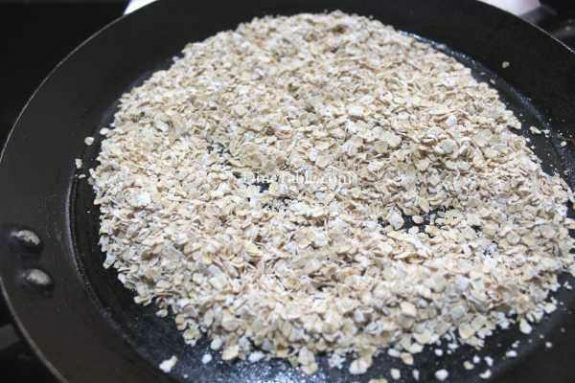 Oats are rich in soluble fibers which help in lowering cholesterol levels. These soluble fibers help to increase intestinal transit time and reduce glucose absorption. 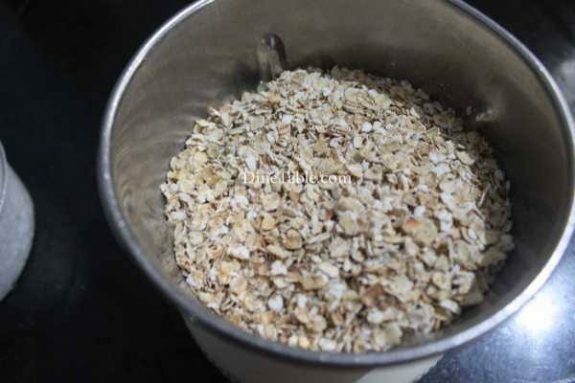 Oats also contain beta glucan which is a lipid lowering agent. Dates is also a good source of energy and fiber. 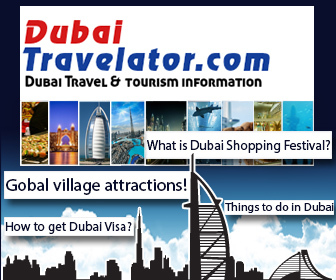 Essential minerals such as calcium, iron, phosphorus, sodium, potassium, magnesium and zinc can be found in it. Dates are a strong source for proteins that help us in staying fit, and even keep our muscles strong. 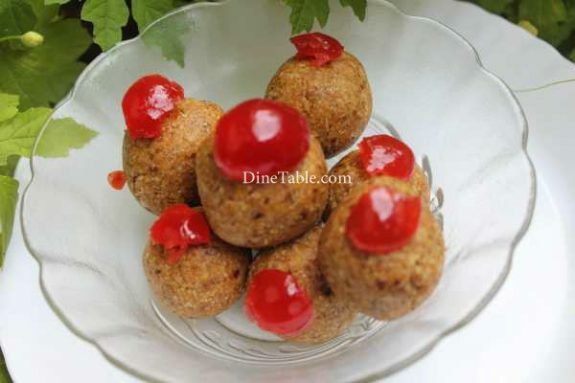 Dates contain vitamins such as B1, B2, B3 and B5, as well as A and C.
Try out this delicious ladoo at home. Heat a non stick pan and add oats and roast it for 5 minutes on low flame. Keep it aside. In the same pan, roast grated coconut on low flame for 3 minutes. keep aside. 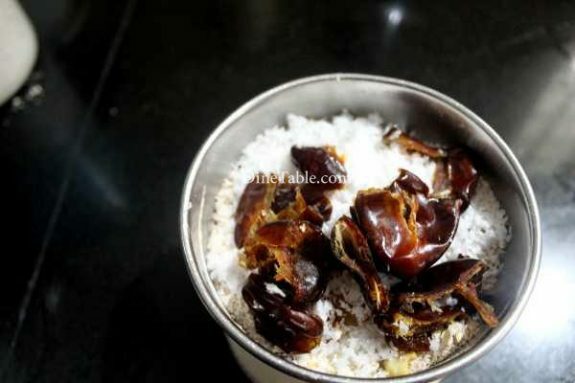 Remove seeds from dates and chop it into small pieces. 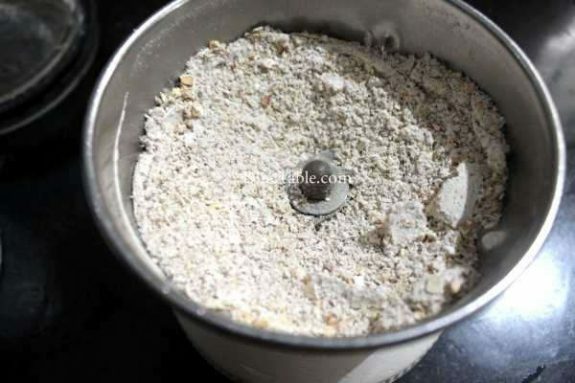 Coarsely grind dates, oats, cashew nuts and sugar using a mixer or food processor. Heat a non stick pan, add 2 tbsp of ghee and fry raisins. Keep this aside. 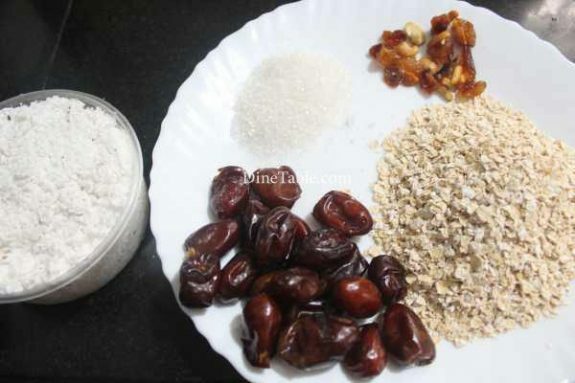 Take a bowl and add oats, dates mixture, raisins and combine well with your hands. 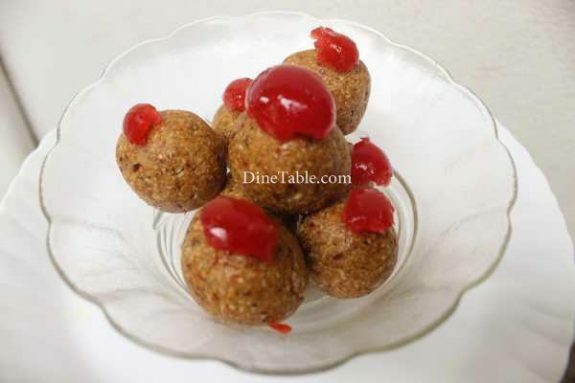 Grease your hand with 1 tsp of ghee and take a small portion of the mixture and shape it to a round ball. Tasty Dates & Oats Ladoo is ready.